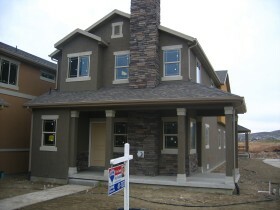 Are you looking for information about townhomes that have sold in Eagle Mountain Utah? Paul Teasdale with Team Teasdale Realty would be happy to provide you with a free market analysis on what your Eagle Mountain Townhome is worth in today's market. Below is a townhome that Team Teasdale Realty sold a few years ago. Would you like a list of sold townhomes in Eagle Mountain? We can email you a list of all the similar townhomes in Eagle Mountain that have sold. Eagle Mountain Townhomes or you can call us directly and we will do a search for you and start showing you some bank repos.